Rescue Academy is an online training course with Mike Foster designed to help you know what to say and do when it matters most. Doors close October 3. All of us want to offer comfort and support to someone in hurt. But often times we simply don't know what to say to someone facing divorce, a death of a loved one, job loss, infertility, illness, and other tough issues of life. Rescue Academy will help you, both as an individual or ministry team, find the best way to break shame off other's lives and extend empathy in a way that brings healing. It's all about help, not hype. If you want to help hurting people, Rescue Academy is for you. Whether you’re a teacher, mom, coach, or in ministry, Rescue Academy will help you go from advice-giver to life-giver. Right now, we're offering an Early Bird Discount of $50 until September 28, 2017. You can get Rescue Academy for a generous discount. Use the code EARLYBIRD and register today! Mike Foster is your Rescue Academy instructor. Mike delivers a common-sense approach, blending his faith, scientific research and over 15 years of counseling experience to deliver best practices for caring for others. You have lifetime access and get all the materials as soon as you register. That also means you can take Rescue Academy whenever it makes sense for you or your team. Yes, if Rescue Academy isn’t a fit for you, simply return your Rescue Academy materials within 30 days and we will refund your entire purchase price. CAN I DO THIS WITH MY STAFF OR TEAM? One purchase grants you one license. Want to use this with your team? We offer a special package of workbooks and a DVD for groups to go through the Rescue Academy course together. Register here to find out more info. NEED BULK ORDERS OR MORE INFO? 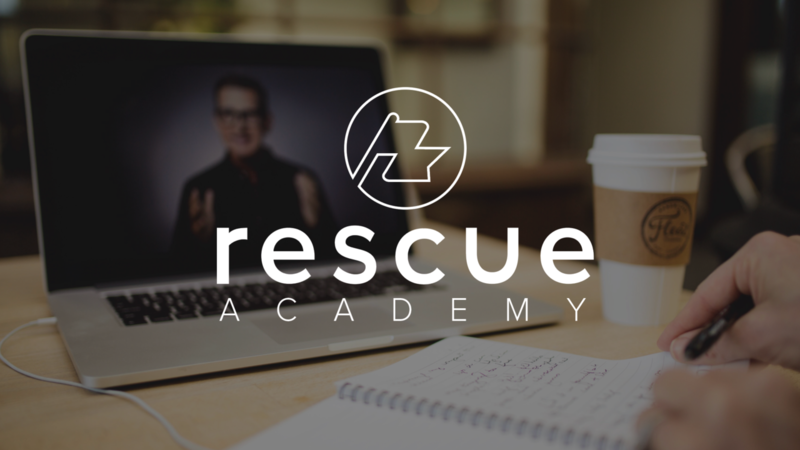 We offer an easy 3-month payment plan for the Rescue Academy E-course. You will have instant access to the course and we will send you all the premium materials after you make the first payment.